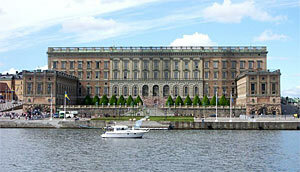 Besides the Vasa ship, the Stockholm Royal Palace is a big attraction. Take the opportunity to enter the castle and see all the fine rooms, apartments and galleries such as, the Bernadotte rooms, The Apartments of the Orders of Chivalry and the Hall of State. Here are also several museums with lots of interesting history. In a vault at the Castle the Swedish Regalias is kept in the so-called Treasury. There is also a church - the Royal Chapel. In other words, there is much to see here so you might need a whole day to explore the Palace and it´s museums. There is little disagreement about how long it actually has been a palace on the site of today's Royal Castle. It is said that Birger Jarl in the mid 1200s erected a castle here. Some parts of the old castle is preserved behind the castle's Baroque facade. As Gustav Vasa took power in Sweden, it became the creation of the modern nation-state Sweden. 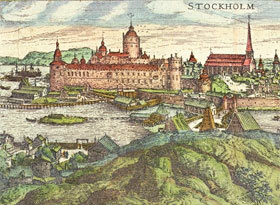 The old castle in Stockholm now became the country's most noble residence. In the years to come the castle now changed into a magnificent palace with both moat and drawbridge. In 1588 the palace got the name "Tre Kronor" (Three Crowns) because of the three golden crowns placed on top of the highest tower in the middle of the castle. The three Crowns is Sweden's heraldic national symbol and these three crowns were used as early as the 1330's by King Magnus Eriksson. Fires were fatal during this time, as for the palace Tre Kronor. On May 7, 1697 the worst fire broke out and almost the entire palace was destroyed. Not until 1754 the new palace was ready and the royal family could move in (King Adolf Fredrik and Queen Lovisa Ulrika). No major changes has been made on the palace since the 1700s. Jean Bernadotte was born in France on January 26, 1763. Jean was appointed Crown Prince of Sweden in 1810 during a time when Sweden needed a strong ruler. Jean was adopted by King Charles XIII, who had no children of his own and was renamed Karl Johan. When the king died in 1818, Karl Johan took over the throne on February 5, 1818. Since then the Bernadotte family are successor to the Swedish throne. 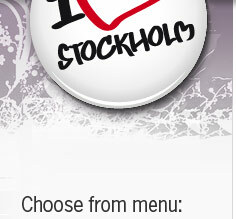 Stockholm Royal Palace - This you can have a look on! The magnificent parade floors designated as representation floors. As an example. Banquet Hall, Guest floor and Bernadotte floor. The interior is well preserved and still today you can visit Gustav III state bedchamber and Oscar II's writing room. A museum dedicated to the ancient castle Tre Kronor. Despite the fire in 1697 there are preserved objects which you can see at the museum. There are also models of the castles various appearances through time. Since 1970, you can admire the stunning regalia in a vault at Stockholm Castle. There are treasures which Gustav Vasa's sword of state, The silver font from 1696, Erik XIV's crown, scepter and orb and several Prince and princess crowns etc. The castle has its own church and actually a completely separate parish - the Royal Parish. The church is open for services and masses all year. During the summer, the church is open for self-guided tour. King Gustav III was very interested in art and antiques. He bought sculptures and statues during his trip to Italy during the 1700s. After the King's death it was determined that the artworks were to be displayed and today they stand there as in 1794. Since 1523, there have been Royal Guard at the palace. Today the Royal Guard is part of the Armed Forces assigned to watch the Royal Palace. Changing the Guard takes place every day of the year with specific ceremonies. The palace is said do be haunted. A "White Lady" has repeatedly been seen through the centuries. Most recently in 1920, when the Crown Princess Margareta was dying. 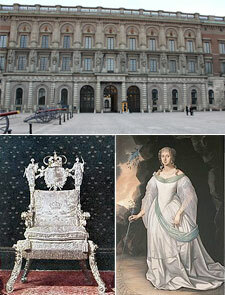 Magnus Gabriel De la Gardie ordered a silver throne that was given to Kristina for her coronation in 1650. It is one of only two furniture rescued from the big fire of 1697. After King Gustav III was shot at the opera on March 16, 1792 he was moved to the Royal Palace where he later died on March 29, 1792. Hotels near the Royal Palace!